Hi, everyone! Just a quick post today to bring you up to speed on what to expect from the Online Extravaganza that starts on Monday, November 21 and ends on Monday, November 28! There will be a variety of products on sale during that time, some up to 40% off. I will post the chart to let you know what they are in a moment. Some of these products will be available only while supplies last at these prices, so it's best to get your orders in quickly. 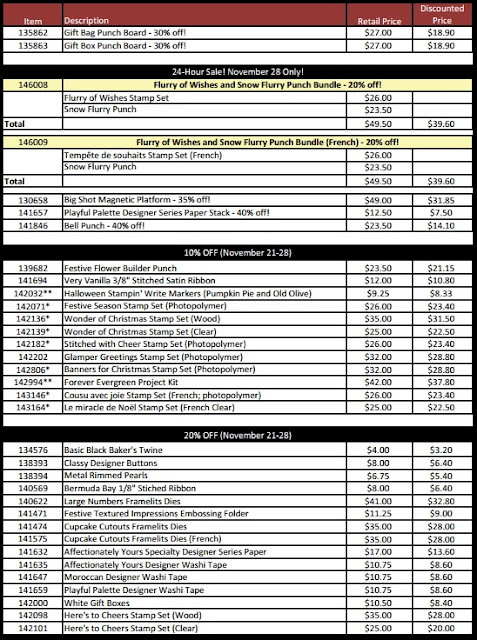 The products that are starred** are retiring from the Holiday Catalogue. There are several ways to place your order. You could go to On-Line Store yourself and place your order online from the comfort of your own home at anytime 24/7. You could phone or text me at 250-768-7379 and I will place your order for you. You could email me at hcooper52@gmail.com or message me on Facebook and I will also be able to place an order for you. 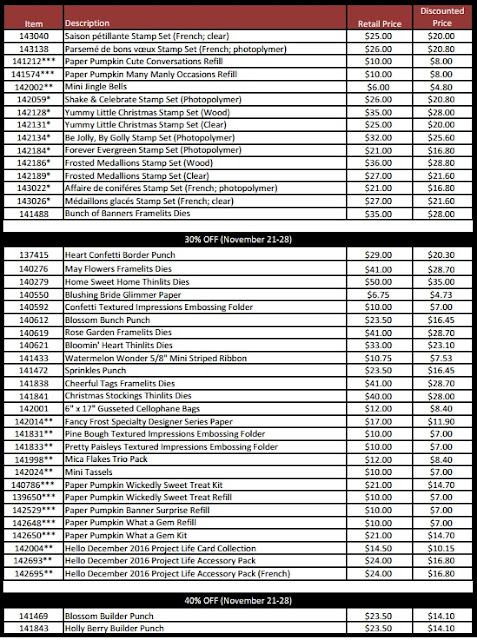 Remember, for every $30 you spend you get 1 Papercraft Cat Reward Point! Have a great weekend and I'll be waiting to hear from you! 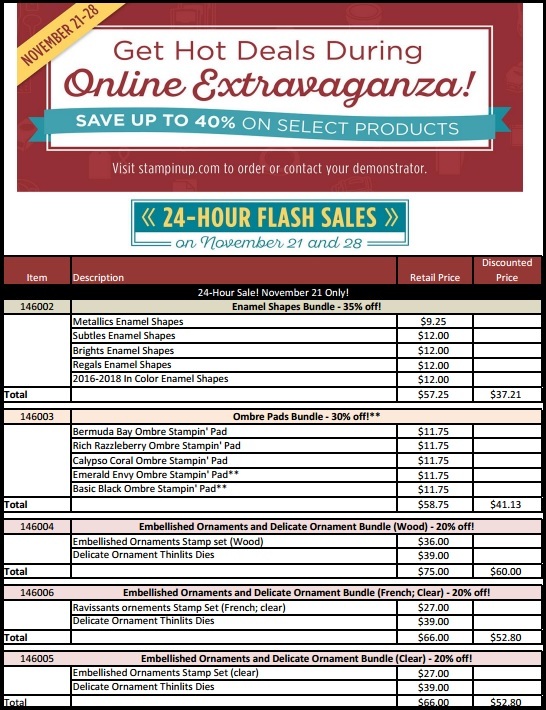 Don't forget that Stampin' Up! 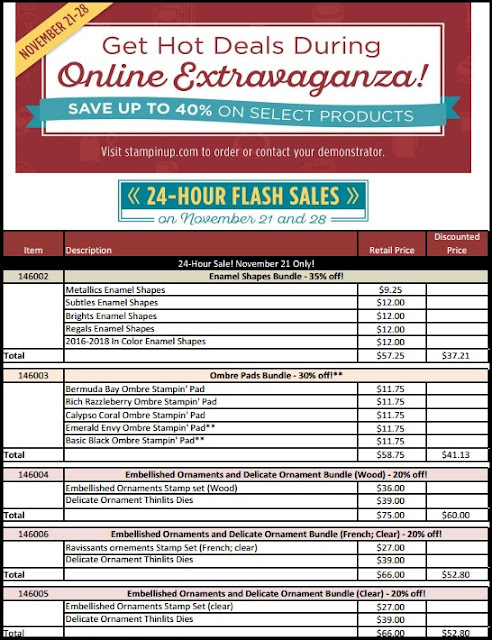 products make great Christmas gifts too!